Heya all, I would like to inform that I’m still working on the set of packages, and that shortly I should have all of them built up. After that I will release the installer. For now I can tell that lots of stuff have been updated to gnome 3.20.1 and many things started to work by themselves as expected. Right now the work has been concentrated to get all stuff built and its not missing a lot. I have also started to work on GDM so we can finally have it working as expected. GDM is an older version as this is the one which not requires systemd. So we will stick with that one. 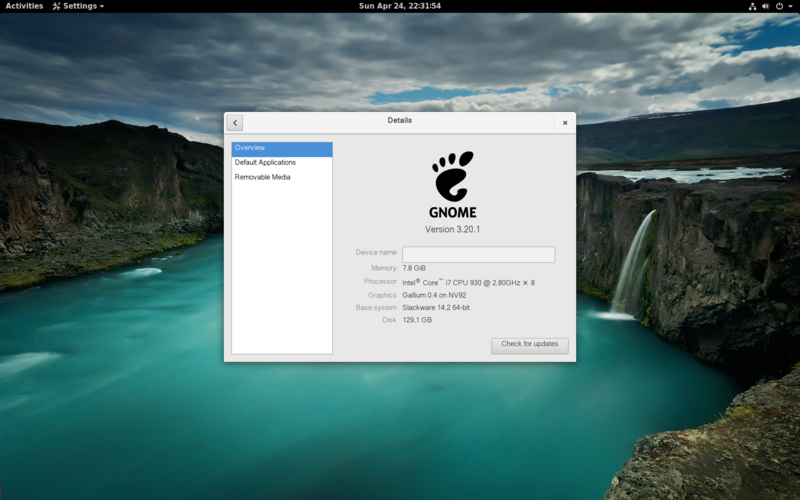 I will launch here an request for help with the new default GDM wallpaper for dropline GNOME, anybody interested in doing it ?